Does the Arkansas HIPP program receive applications at any time of the year? Yes. 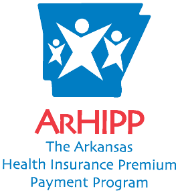 Qualifying for the Arkansas HIPP program is a qualifying event and makes it mandatory for employers to make enrollment options available to you from the first day you qualify for HIPP until 60 days after. You may still apply to the HIPP program if you have not yet enrolled in your employer’s health benefits. What if I am already enrolled in my employer’s healthcare plan? The next step is to apply to HIPP. Once the program has all information and documents needed, it will take up to 30 business days to send you a determination letter.